Both Edith’s and Mary’s romantic relationships get complicated as some tough truths are revealed. 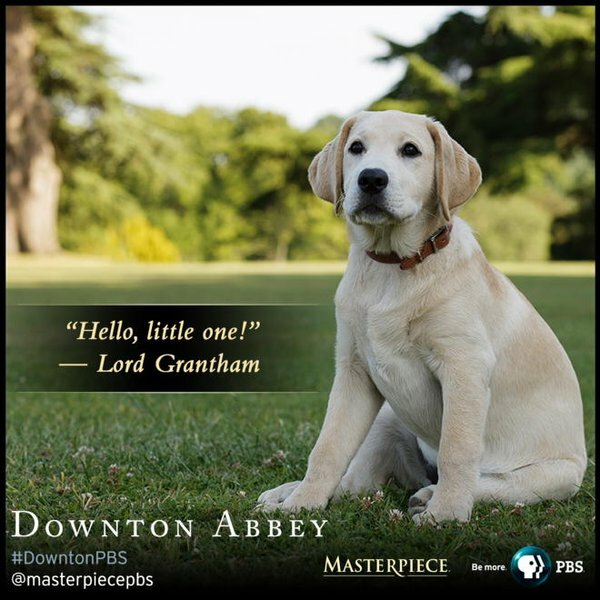 Get a sneak peek of tonight’s Downton Abbey, airing at 9:00pm ET|PT on PBS Masterpiece. 1. Bertie proposed to Edith (!!! ), though she said she needed some time to think. I’m really hoping Edith will come clean about Marigold! 4. We finally got to see Mrs. Hughes get Mr. Carson back for all his micro-managing. How did he like having to run around the kitchen while Mrs. Hughes chided him? The entire thing was good for a chuckle, and hopefully Carson realized that Mrs. Hughes deserves his respect as a partner. 5. After losing the hospital debate, Lady Violet decided to take a vacation. However, before she left, she got Robert a gorgeous puppy (who he named Teo)! What were your favorite moments from last week? See what I mean about Thomas being “desperate” and taking a “fateful step”? I’m nervous! And what’s this about a scandal from Mrs. Patmore? I thought everything was going well with her new bed and breakfast… although there was that sketchy looking guy who was hanging around. I wish we knew what happened, I want to laugh too! Check out eight images from tonight’s episode and remember to tune into PBS Masterpiece at 9:00pm ET|PT to watch. Come live tweet with me too (@WeSoNerdy)!